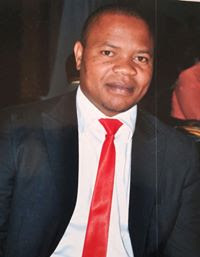 The Executive Director, State of the Union (SOTU), Edward Chileka Banda has called on government of Malawi to ratify the Revised African Union Convention on Conservation of Nature and Natural Resources (RACCNNR), NaijaAgroNet reports. He made this call at SOTU programme in Malawi in collaboration with community leaders, local government officials, and students over the weekend petitioned President Peter Mutharika and his government to address issues of Climate change. SOTU’s petition which was on conservation of natural resources; climate change; disaster management and preparedness was presented to Mutharika through the office of the Chikwawa District Commissioner, Bester Mandele, who promised to deliver the petition to central government. NaijaAgroNet gathered that prior to the petition, the CSOs held Stakeholders Conference under the theme; "Fight Climate Change, avoid Natural Disasters, Safeguard the Future". Consequently it was observed that environmental degradation is worsened due to poor land management policies, over population and lack of alternative energy sources. Banda said there is need also for government to create evacuation Centers in floods prone areas to avoid disrupting school classes during disasters. In the petition, NaijaAgroNet learnt they have also asked President Mutharika to depoliticize management and conservation of natural resources such as forest reserves. During the conference, Paramount Chief Lundu commended the youths for the initiative of engaging people directly affected by floods in the Lower Shire. Lundu said the community participation and empowerment would be key in addressing environmental challenges. Eye for Development (EFD) organised the event under SOTU Platform which are championing the AU charter on nature and natural resources. Oil subsidy regime in Nigeria, time to go!